Fifth annual service to remember suicide victims. The fifth annual service to remember those who have lost their lives to suicide in Renfrewshire will be held on Tuesday 21 January. The ceremony will take place at council HQ in Cotton Street, Paisley, where there is a memorial tree for victims of suicide. The event is being organised by the Renfrewshire support group, Survivors of Bereavement by Suicide (SOBS), and will be attended by Renfrewshire’s Provost Anne Hall. The service will be led by Reverend Alan Birss of Paisley Abbey and Father John Tormey of St Mirin’s Cathedral. Provost Hall said: “This annual event is a worthy cause which we are happy to be able to support. I would like to extend the invite to any local people who wish to join us on the day. “Suicide can affect people of all ages and backgrounds and there are various groups which can offer help. This occasion offers support to those who have lost loved ones and, crucially, highlights the help that is in place to prevent suicide. Friends and relatives should meet from 3.15pm on Tuesday 21 January in the marriage suite to collect a commemorative purple heart on which they can write a message for their loved one. At 3.45pm, there will be a procession to the tree, where the Provost will lay a wreath and light the tree, after which visitors can place purple hearts on the tree. Afterwards, all attending are invited to join the Provost for refreshments in Paisley Abbey. The event is being supported by Choose Life, the national strategy to prevent suicide in Scotland. The national helpline Breathing Space can be reached on 0800 83 85 87, and the number for The Samaritans is 08457 90 90 90. Cash for Kids at Christmas. Clyde 1 and Clyde 2 annual Cash 4 Kids appeal has had another successful year, which means yet again they are helping thousands of families with a small cash award to help make Christmas that little bit easier and offering grants to many. The young mum who wished to remain anonymous said “The money they give may not seem like a lot to some, but when you have children and you are struggling to make ends meet especially at this time of year, it makes a difference. I had to give up my job to care for my partner who has many health problems, I also have 4 young children at home including a disabled child, I cannot thank Cash for Kids enough and of course the people who donate and raise money for the charity..
As part of the Bauer Radio network of charities across the UK, Clyde 1 & 2’s Cash for Kids was established over thirty years ago to provide much needed support to Glasgow and the west of Scotland’s most disadvantaged children in local communities. With the support of our listeners and corporate partners we aim to help children suffering from the effects of abject poverty, ill-health and disability by providing the support they so rightly deserve. Cash boost helps Shopmobility service to run. Shoppers with limited mobility will be able to get out and about to pick up their Christmas presents thanks to a five-figure cash boost from Renfrewshire Council. The £12,000 council donation will help fund the Shopmobility Paisley and District service, which operates in the town centre. Shopmobility provide a range of wheelchairs and scooters, free of charge, to people with mobility issues who would otherwise struggle to get around the shops. The charity – which is based in the Paisley Centre multi-storey car park in Storie Street – also provides volunteer escorts. Councillor Iain McMillan, Convener of Renfrewshire Council’s Social Work, Health and Well-being Policy Board, was on hand to present the cheque to charity staff and service users. He said: “For many people, even a quick trip to the shops can be a real challenge, and often they will have to rely on friends and family for transport and support. “Services like this allow people with mobility issues to live with a greater degree of independence and to do so with confidence. Shopmobility Paisley and District chairman Tommy Porter added: “We are a charity which helps people with mobility difficulties live with a bit more independence. The service runs from 10am to 4pm on a Monday to Friday and 10am to 3pm on a Saturday. For more information about the Shopmobility service, call 0141 889 0441 or email info@shopmobilitypaisley.org. New heritage centre is highlight of ‘Digital December’. A new digital heritage centre in Paisley Central Library has been unveiled as part of a ‘Digital December’ of online activity from Renfrewshire Libraries. The Heritage Centre, based in what was known as the Reference and Local Studies Library, is designed to meet the growing demand for access to digital archives and records and to showcase Paisley’s proud history. The new centre was officially opened this week by Cllr Stuart Clark, depute convener of Renfrewshire Council’s Sport, Leisure and Culture Policy Board. The opening the new centre is the centrepiece of a month of online activity from Renfrewshire Libraries. A new website for library members will make it possible to borrow at all hours and access electronic and audio books amongst a wealth of other online resources. Libraries staff will hold a number of drop-in sessions during the month designed to help local people ‘tame technology’ and get to grips with the growing number of smartphones, tablets and e-readers they possess. “But Digital December shows that our libraries are about so much more than places to borrow books. “They are places where people can go online for free and access information about the job market. They host Bookbug sessions where parents and children can bond through reading and song. And they are sources of vital health information and advice thanks to initiatives like Living Well @ The Library which we’ve developed together with Macmillan Cancer Support”. A programme of events for Digital December is available in every Renfrewshire Library. More information about library services is available by calling 0300 300 1188 or emailing libraries@renfrewshire.gov.uk. The new Renfrewshire Libraries website is available at www.renfrewshirelibraries.co.uk. Hundreds of parents take part in £30m schools consultation. The first stage of the consultations on Renfrewshire Council’s £30million plan to improve its schools and pre-five centres has been hailed a success. Hundreds of parents took part in a series of public meetings designed to help draft initial proposals for the scheme. More than 340 parents attended the public meetings held in October, 160 completed questionnaires to capture their views and 60 volunteered to take part in focus groups, 40 of whom will now be selected by ballot. Councillor Jacqueline Henry, Convener of Renfrewshire Council’s Education Policy Board, said, “The £30million school investment programme represents a massive commitment to ensuring local children have the best possible environment in which to learn. “It is gratifying that so many parents took the time to meet us and discuss how they think this money should be used. The focus groups form an important part of the consultation process and they will meet early in the New Year to start the next stage of the process and help refine the proposals that have come forward from the initial public meetings. * Creating shared campuses where schools are close to one another but their combined rolls do not support two separate buildings. * Moving pre-five centres into nearby primary schools when the primary school currently has too much space. * Reviewing the catchment areas for some schools. To ensure that each school serves its local community and has the best number of pupils according to its size. Councillor Henry said, “Renfrewshire’s population is changing which means that some of our schools have fewer pupils than they were designed to accommodate. Schools work best, educationally and socially, when they feel full of life and opportunity. “Some of our school buildings are very costly to repair and aren’t ideal for delivering a 21st century education. We want our children to learn in an environment that supports the modern curriculum and also helps to develop each school’s sense of community. Similarly where schools have too few pupils, it makes sense to reduce the number of buildings. 15 Best places to eat and drink in Paisley. Cardosi’s – This is a fantastic restaurant with a long standing and good name, it has an excellent menu, amazing specials and the staff are very friendly and attentive. Hamishes’ Hoose – This is a pub, live entertainment venue, restaurant and just a fine place to visit whenever you are in town for a nibble and some great fun, thoroughly recommended. Alan’s Chip Shop – This is quite possibly the best Fish & Chip Restaurant in Paisley, if not in Scotland (ok so we might be running away with ourselves here). Alan’s Chippie has also been in Paisley for many years, it has a take away counter as well as a seating area for a nice fish tea. Kwang Tung – One of the best Chinese take-aways and restaurants out there in our opinion and the food is always great, served by friendly staff and the menu is what you would expect from a decent restaurant. Gabriel’s – Lovely food at good prices with some friendly staff to help you make your choice, a great place to eat, drink and socialise. Kilty Kilty – A favourite for lunch for families and also a top pub and nightspot in town, well run and with some great entertainment to dance away those nights on the town. Lord Lounsdale – This is a popular place to go if you are out with the family or friends and looking to eat or drink. It has a regular crowd with a pool table, big screen TVs and a warm atmosphere, certainly popular with people looking to start quietly before hitting the town. Thai Siam – Great food and friendly staff with pre theatre deals on regularly. To some this is the best place in Paisley and never disappoints. The BBQ Shack – A newcomer on the food scene in Paisley but judging by the popularity of the place it will be here for a long time to come, portions are big and taste is huge. One word of caution, phone in before you visit to make sure they have what you are looking for as they run out fast. Multan – This place is amazing for food and it usually comes with a great service and value for money is almost guaranteed. Mirage – This is a cracking place and well known and popular. The Last Post – This former GPO in Paisley is now a huge public bar, it has no music so makes an ideal place to chat to friends over a lovely meal. Cibo – One of Paisley’s newer eateries and quickly establishing itself with people as being a taste heaven. This is right next to Paisley’s Sma Shot Cottages and is lovely for couples and families alike. Abbey Inn – Another fine bar for lunch, dinner and great refreshments afterwards with excellent staff and decent banter. Lees Diner – If it’s a decent lunch you’re after when you are out shopping in town, pop to the In-Shops inside the Paisley Centre, recommended and value for money. La Rambla – The old Bungalow Bar just down from Reid Kerr College suggested by John McCarney. La Mesa – New Street Paisley suggested by Mairi Connelly. Canal Station – The Old Canal Street Station suggested by Mairi Connelly. La Dolce Vita – Up there with the best, suggested by Mairi Connelly. Bella Roma – Suggested by Angie McGregor who was surprised not to see it on the list above. Also Stewart Wilson suggested here. Just out the backdoor of Gilmour Street Train station. Jam Jar – Shuttle Street, Paisley Family favourite, fab food, friendly staff, balloons for the kids, cocktails for the grown ups, good prices, fab portions, suggested by Joanne Thompson. East End Tandoori – It’s where Chris Pattison says is the first place he goes when coming back home from Barcelona. The Grumpy Monkey – in Moss Street for a great place to eat ? Always had lovely food and coffee in there. The home baking is to die for suggested by Paul. I would like to thank everyone who has taken the time to add their comments and help with this list. They are as follows..
Andy Campbell, Angie Heaney, Margaret Blair, Kevin Doyle, Stuart Duffy, Sandra Lemetti, Lyndsay Yekaterina, Mary Odonnell, Lesley King, Angela Keating, Lynsey Moore, Lynsey Allan, Alison Jane Richardson, Mags MacGee, Aileen Wilson, Joe Atkinson, Dawn Robertson, Linda Neilson, John Campbell, Judith Walker and Norma Hagan. Last chance for parents to give views on Renfrewshire nursery provision. 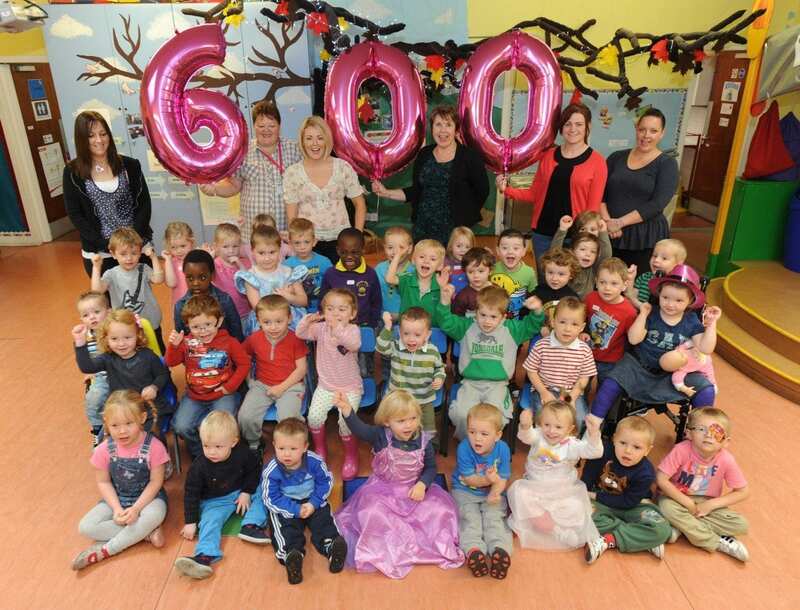 Renfrewshire Council is urging parents give their views on changes to nursery provision. Currently every three and four year old in Scotland is entitled to 475 hours of government funded pre-school education each year. The Scottish Government is increasing this annual entitlement to 600 hours from August 2014. Families in Renfrewshire with children aged four and under have until the end of the week to tell the council what nursery arrangements suit their needs best so the council can plan for this change. The consultation has been running for five weeks and so far more than 550 parents have already had their say. Councillor Jacqueline Henry, Convener of Renfrewshire Council’s Education Policy Board said: “It’s necessary that we plan and develop nursery provision that meets the Scottish Government’s commitment, but more importantly, also suits the needs of children and families within Renfrewshire. “This change complements the work already underway to give children in Renfrewshire a great start in life. “Our £7 million Families First programme is improving access to early learning and supporting families to deal with the issues that impact on their youngster’s ability to learn and develop or which prevents them for reaching their potential. “A nursery service that meets the needs of families will give parents the option to participate in work, training or education and the opportunity to build a better future for their family”. The consultation closes at midnight on Sunday 1 December. To take part parents can either complete the online survey at www.renfrewshire.gov.uk or call 0300 300 0300 to arrange for a paper copy to be sent to them. Old and young battle it out to be champions. Opponents from 11 years-old to 80 will be pitting their wits against each other as they compete in the first ever Inter-generational Quiz event on 29 November. Four teams, each consisting of four older people and four school pupils, will battle it out over a series of challenges including: speed texting, Wii bowling, playing dominoes and hanging washing on a line. The schools involved are Gallowhill Primary School in Renfrewshire and Carlibar Primary School in East Renfrewshire. The pupils are being partnered by residents from Glencairn Court Amenity Housing in Paisley, Kirkton Services in Barrhead and some East Renfrewshire residents who have links with Uplawmoor Primary School, Uplawmoor. In preparation for the big event, teams have been meeting every two weeks to teach each other the skills they need to triumph. 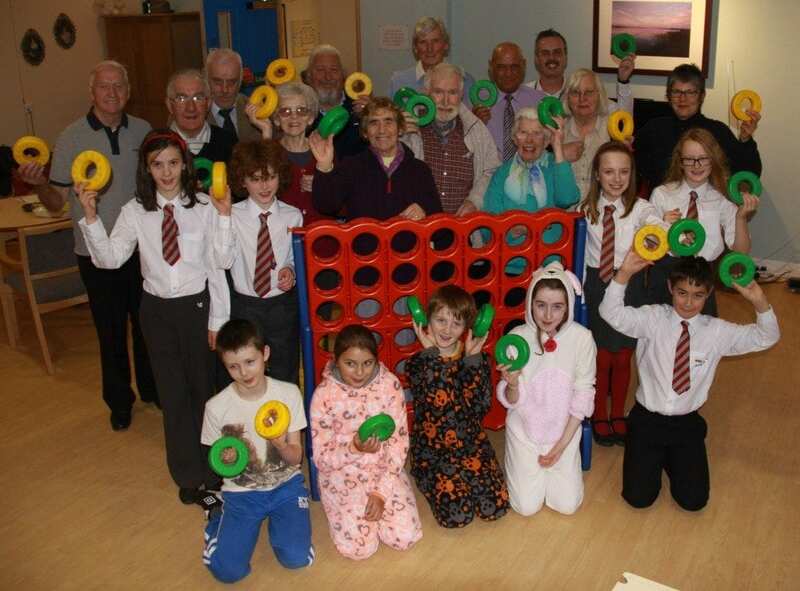 The Inter-generational Quiz takes place on 29 November at Carlibar Primary in Barrhead from 1.15pm till 2.30pm. The quiz is part of the council’s commitment to reshape care for older people. It enables older people have an active role in their community and helps to break down barriers by getting younger and older people to work together to share information and skills. This has many benefits including reducing isolation, improving mental health and providing structure to an older person’s week. The event is a partnership between Renfrewshire and East Renfrewshire Councils and the East Renfrewshire Community Health and Care Partnership (CHCP). Mary’s Meals is also supporting the event by lending the clothes to hang on the washing line. It’s hoped the quiz will become an annual event. Councillor Iain McMillan, Convener of Renfrewshire Council’s Social Work, Health and Well-being Policy Board, said, “There is so much that young people can learn from older people but there aren’t many opportunities for them to get together in an informal way. There’s a saying that we don’t stop playing because we get old, we get old because we stop playing. Sheila Hood, Head Teacher at Gallowhill Primary School said, “Myself and the P7 Class Teacher, Cheryl Gray, have been so proud of how much enthusiasm our pupils have demonstrated in preparing for this event. It has been fantastic to see the two generations working together and fostering a genuine community spirit. All too often, these two age groups misunderstand each other and this project proves that older people and youngsters can really enjoy each other’s company. The residents from Glencairn Court have been great fun and we hope to maintain these precious links for many years. We are in it to win it though! Barney’s World Dog Walking and Pet Services is based in Paisley and is named after our happy and fun Cockapoo who just loves making new friends and romping around the countryside with them. If you are looking for some extra help with dog walking, some doggy day care whilst you are at work, home from home dog boarding when you have to be away, get in touch to find out how we can help you. We cover the Paisley, Barrhead, Johnstone and Renfrew areas. There is nothing better than knowing your pet is happy and well looked after when you can’t be around. Just as adults love catching up with friends and socialising, so do dogs, so you can be reassured that when your dog is our care it will be having waggy tailed fun and will be treated with the same love, care and attention as we show to Barney. We are fully insured with Liability Insurance and Care Custody & Care Insurance which also covers us to be key holders. Paisley Christmas Lights Switch On Parade Photographs.